Book Review Saturdays: Practical Movement Control | Forward and Up! 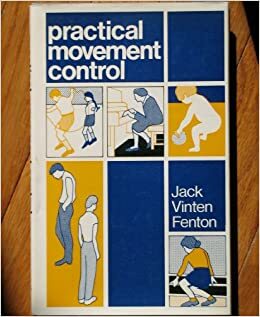 Practical Movement Control, by Jack Vinten Fenton, concerns the need for a solution to the growing number of adults experiencing undue anxiety and tension as a result of poor bodily use. The central theme of the book is that many of our current stresses, strains and anxieties are due to an excess of muscular tension, and that this relationship is present even in early childhood, growing more and more pronounced as we grow older. According to Fenton the best solution to this problem is preventative re-education, ideally presented within the context of the existing primary school system. The book appears to be targeted towards education professionals and teachers of young children in particular, showing several concrete ways in which teachers can incorporate the work into their classrooms. Though the word choice occasionally leaves something to be desired, overall Practical Movement Control is a strong and succinct explanation of the principles of habit and change, told through numerous practical examples and research findings. The book deals with the relationship between excess tension and various forms of misuse, from early childhood through the young working adult. Beginning with a discussion of the principles of the Technique (though he does not mention Alexander’s name until much later), the book continues through a description of the author’s research projects involving schoolchildren of all ages and their use during an assortment of basic activities. The book then discusses how to achieve good use and provides suggestions for ways to teach the material in schools. Throughout the book Fenton uses findings from his research studies to illustrate his points, making effective use of a plethora of charts, photographs, and figures. This emphasis on concrete examples would likely be helpful for a student who is skeptical of the validity of the claims made by Alexander teachers. This emphasis on examples and research is one of the strong points of Practical Movement Control. Fenton’s explanation of the principles of habit and change is both straightforward and persuasive, and every phase of discussion is accompanied by a chart or illustration that works to sweep away any uncertainty and show the principles to be justified and supported by his research. In addition, Fenton does not even mention Alexander until more than halfway through the book, and even then it is only one glancing mention of “the work of FM Alexander.” This adds to the reader’s perception of the book as something related to but separate from the Alexander Technique. It may have been inspired by the work of Alexander, but Practical Movement Control is Fenton’s work, supported by his own research and expressed in his own terms. Unfortunately, those terms are one of the largest weaknesses of Practical Movement Control, at least from an Alexander perspective. Throughout the book, Fenton uses terminology that Alexander teachers deliberately try to avoid, such as words like “relax,” “posture,” and “positioning.” While Alexander teachers have very specific reasons for avoiding those words (“relax” implies collapse and lack of muscle tone, “posture” and “positioning” both imply a fixed position rather than a dynamic relationship), Fenton appears to be attempting to discuss the principles using language that was commonly used at the time; perhaps he felt it would be easier for his readers to understand. In addition, while he does mention the concept of thought setting up tension patterns, he doesn’t fully draw attention to the implications of thinking versus doing that are so central to the practice of the Alexander Technique, and are the precise reason why word choice is so important when working with habit. His message communicates clearly nonetheless, and is still a persuasive argument, but it is missing a crucial corner of the philosophy of the Technique. In conclusion, Practical Movement Control is a succinct introduction to the principles of habit and change, and would be a fairly good introductory read for someone who tends to be skeptical of the power of habit and faulty sensory appreciation. The plethora of concrete evidence would do much to convince a skeptic, however it should not be used as a stand-alone. The student would need to be made aware of the shortcomings in the book, particularly in word choice and the way thought influences tension patterns. I would recommend this book to a schoolteacher or professor interested in how they can pass the information along to their students, but only after they have had a foundation of several lessons. © 1973 by MacDonald And Evans LTD.